Hey everyone! It’s Courtney from Paperelli. I know, I know… Summer isn’t officially over yet, but I am already counting down the days till Fall begins. Cooler weather, leaves changing color, apple picking and warm tasty soups! This month I am sharing a Free Fall Printable to help you decorate for this beautiful time of year! 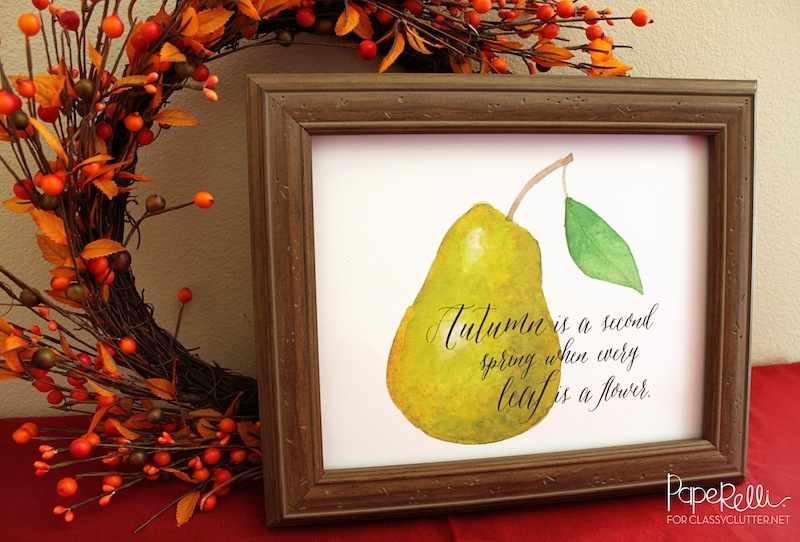 Pears are one of my favorite things to decorate with in the Fall. The colors are always beautiful, eye-catching and classy. 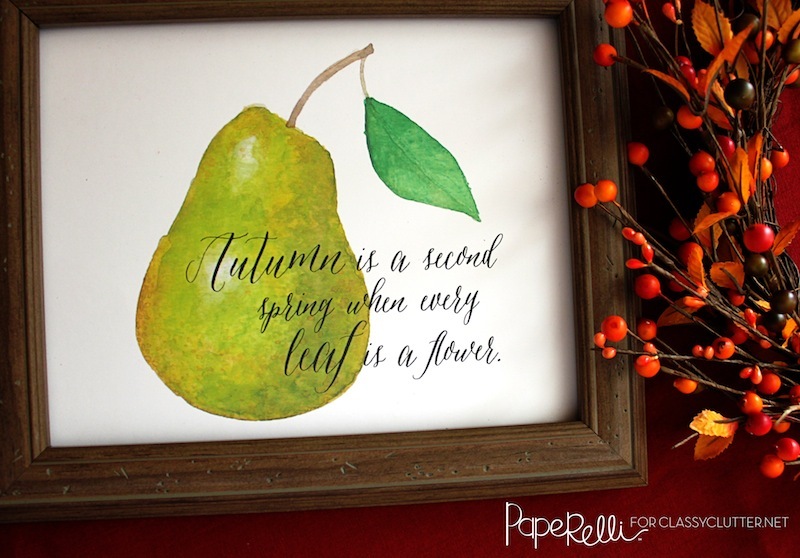 Print, frame, and place next to your favorite fall decorations. What is your favorite part of the Fall season? Thanks for sharing Courtney! Be sure to follow Courtney’s Etsy shop, Paperelli and follow her on Instagram, and Pinterest! So true! 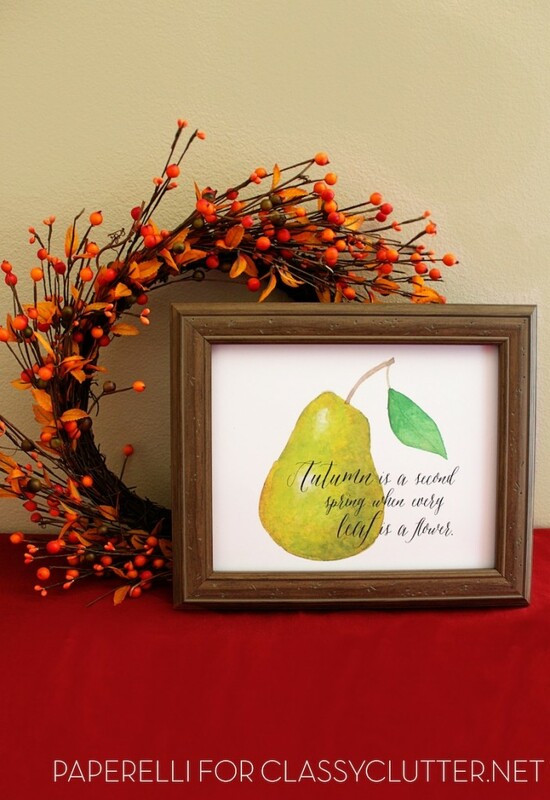 Pears are such a classy way to decorate for fall. I love!!! Your download didn’t work! There is a 404 error. I’ve fixed it! Thanks for letting us know!